This month, The Best Drink Ever is excited to team up with LEJAY the Original Crème de Cassis for “Diablo de Mayo.” alongside Master Blender Oliver Melis from LEJAY. Our lineup featured among others, Katie Smith Life, the blogger and OC based bartender whose motivation was to create an original cocktail with some common traits from the OC bars in Newport Beach and Laguna Beach. During the video session, you claimed to have created the ultimate "OC Drink Bowl." What was your inspiration for the Devil's Dove? My friends and I love Palomas. And when I was toying with the idea of the El Diablo-riff cocktail, I thought why not add some components of another great cocktail and see what dimension it can bring to what I was trying to create. It was all about combining tiki elements with the Paloma and the El Diablo. I made a chai syrup to bring in the island spices that are common in tiki cocktails. The Lejay’s creme de cassis adds another level of flavor that makes it an approachable drink that anyone could enjoy with various straws. We’ve been following your awesome stories on Instagram... so what’s next for you? Summer is almost here I also can’t wait to see how crazy my restaurant will get. We just opened in December so I can't wait to see what types of cocktails I’ll be able to sling 😎! I also see myself doing some more traveling soon, hopefully catching up with some of my mixologist friends back in Rome. You mentioned you truly enjoyed whiskey as a drink of choice. What is your favorite drink? I love whiskey. My favorite drink is a Vieux Carré. It’s one of my favorite drinks to end the night. My type of dessert 😊. 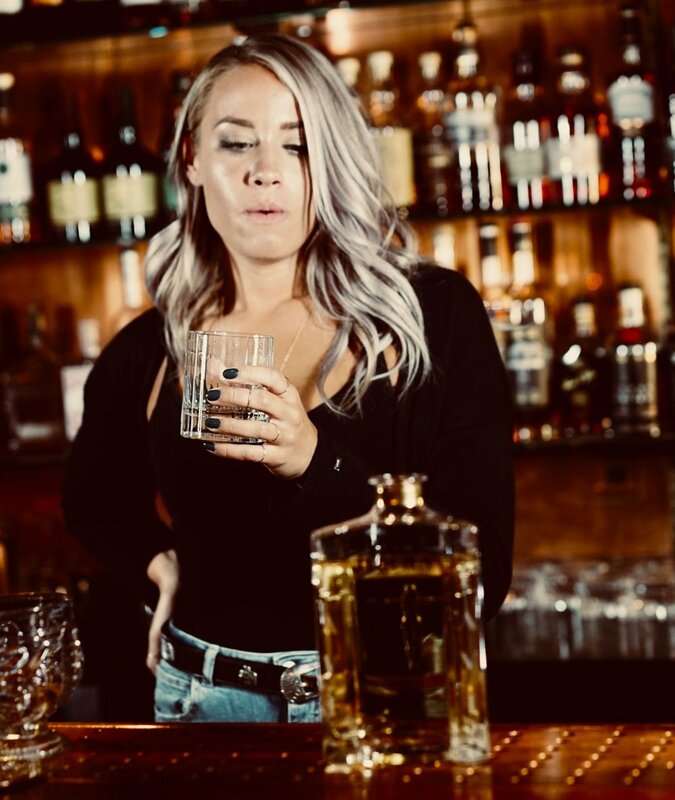 Katie is one among many in a new batch of young bartenders who are shaking up the industry here in LA. When asked if she'd enjoyed her video debut, she quickly asked us when we'd be up for the next one. Follow Katie on Instagram and continue to follow us as we search for The Best Drink Ever.